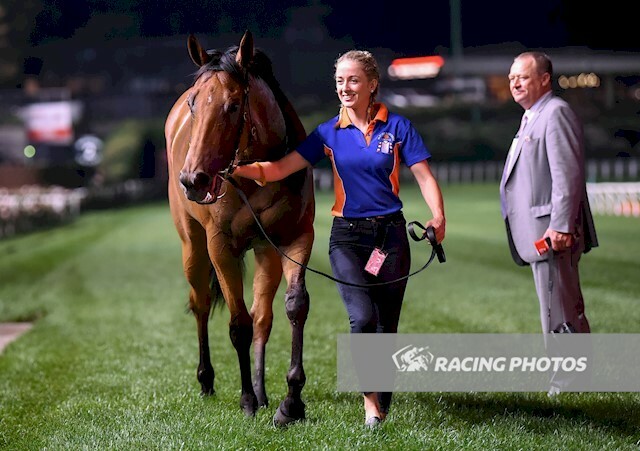 Speed mare Desert Lashes (Reward For Effort) kept her winning strike rate at slightly better than 50 percent with a victory at Moonee Valley on Friday, March 22. The Tony McEvoy-trained five-year-old mare took her record to 10 wins from just 19 starts with a brilliant win in the Ladbrokes 55-Second Challenge (955m). A well backed $3.60 chance, Desert Lashes, ridden by Luke Currie, scored a three-quarter length win from Belwazi ($4.80) with the pacemaker Plateau Gold ($12), a length away third. Desert Lashes, resuming from a spell, began quickly and settled second chasing Plateau Gold. After balancing up around the home turn, Currie asked the mare to extend and she did proving too strong. McEvoy said it was a great win. “It is really good to have her back,” McEvoy said. “I hope Moonee Valley is ready for these northerners (the owners) because they are ready to party. “They have entrusted me with this mare, and they know her backwards. She won her first eight and just got beaten at her next so nearly won her first nine and you need a lot of talent to do that. Winning jockey Luke Currie said Desert Lashes had been all over Australia and had been very good. “The leader went very quick and tried to sprint on the corner and had her chasing,” Currie said.